However Improbable: "You think you'll just come back to life?" "When don't I?" "You think you'll just come back to life?" "When don't I?" Wherein Jack engages in a deadly battle against Math, and other harrowing and random adventures. Anyways, after posting about ships and how I wouldn't be getting my own ship, I logged into my email to find this waiting for me. Isn't she a beauty? And she only cost me a pound. 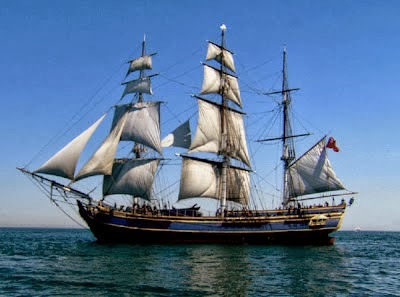 (Okay, shew as free...) Anyways, I am taking her out on the high seas for an adventure. Maybe chase down some pirates. Find a jar of dirt. Fight off Red Rackham. Have a magnificent garden party. Anyone care to join me? I'm in need of a crew. I got another random email the other day. With another picture. I was lego-ized! In the words of Vector..."Oh yeah!" I had a huge fan girl moment today when I learned that Episode One of Agents of SHIELD is now on Hulu. "You don't know what this means." Anyone who doubted Coulson living now gets a HUGE "I told you soing" from me. I finished round one of edits for Abolished and have began the next round. "Who's up for round two?! Oh...tell the kid to be more careful.."
And now, since I mention math in my introduction, I guess I should mention it now. Not that I want to. We don't get along, at all. Like how Frodo didn't get along with Shelob. Tintin with Ratopocolus. Anakin with lava. And I remembered one more thing. I was holding a contest, which I posted about HERE! I am now going to annoyance the winner. But first, I will let you all know which song inspired which character. Okay, that is all. I am going. And I am leaving you with a funny, heartbreaking Rory and Amy quote. "I have come baaaack to liiiiffee." Oh my goodness that Lego you is amazing! That's so cool. 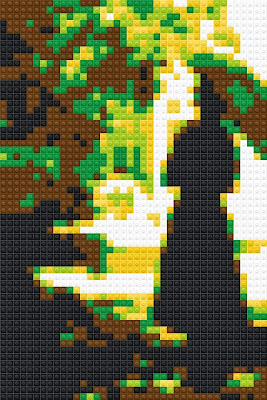 Lego is cool in general. Good luck with your math. Surprisingly, I'm actually doing better in math than previously... It's science that's killing me now. Blah. I'll join your crew. We can carry swords and not do math at all. It shall be unfathomable (adj. "without fathom") good fun. Especially not doing math. I can't grasp the basic concepts, either. Every time someone mentions fractions, I'm either out like a light, or I start creating brilliant new fictional characters in my head. Perfectly beastly business. If you need any help doing your site, you should go to http://youtopianblogs.blogspot.ca/ , because the people there are lovely *wink* and you can request tutorials or something. Or whatever. I love math. Which is weird... I know... but I'm one of those strange, ambidextrous-y people already, so.... why not? I would love to be part of your crew. Signing on for adventure on the high seas and reporting for duty with Cap'n Jack! I loved the first episode of Agents of SHIELD... and as all the billboards featured Coulson fairly prominently, I've been "I told you so-ing" for some time already! Two seasons is good! I can usually get through one a week unless there is a lot of movie watching in between. Creative people can't do math? Um ... in my family (both my mom's and dad's sides) it's the mathmatical people who are the most creative. My mom majored in math, my dad in Computer Science (which involves math), his dad was a math professor at our local college, and there are plenty more. Personally, I love math (Just came from watching a video about probability), and we all know I'm creative. Oh, and Jack, I think I do know an evil overlord. You'd better watch your back, since I've told Clara about a certain something, and she isn't pleased with it. I'd join you on a sea adventure. Sounds fun! The Agents of SHIELD show started already? I need to track down what channel its on then! Sounds interesting. Good luck with the graphic design! I'm afraid I can't help you there. Math is just the worst. I don't like math and I blame it for many of my self-doubt issues. lol. I hope you start having better luck with it and that something in your brain just clicks and math starts to make some sense for you. Did you watch the first episode of S.H.I.E.L.D? And was it awesome? I am so excited about that show! I love Coulson! I really hope the TV show can match the feel of the Avengers movie. That would be awesome. :D Superheroes are the best. Well...the Marvel ones, anyway. I'm not a huge fan of Batman (don't get me wrong, he's ok and I like Christian Bale as Batman) and I haven't seen any Superman movies. I want to see the new one that just came out. That one looked rather good. You seem to have tendencies of Evil Overlordship sometimes. Just sayin'. lol. Sign me up for your crew. Arrrrrrrr. Okay, that thing with Singur as Megamind made me laugh out loud for real. I was reading along, lalala, and then BOOM. "BAHAHAHAHA." I was SO Excited when I saw that trailer of Agents of SHIELD!!!! I was like, dancing around the house, screaming, "COULSON REALLY DID FREAKING LIIIVVVVVEEE! LALALALALALALALLA!!!!" Actually, I AM in awe of your skills in marathons. You're past Amy and Maria now, and neither of them have college. lol. *fist pump* you're catching up to me! ......Eh. I'm fairly sure I'm the person bombarding you with emails. *covers face* lol..... aaaaaaaaaawkward. Holy cow, I got like.... the whole freaking list wrong. LOL. I don't think a single one of my guesses matched yours. *eyeballs you. * But hehe.... seeing as I managed to win anyway... I'd like to know how You-know-who survived. First I read your post title and got all misty and upset and then I started reading your post and cracked up and clapped and got all geeky, especially when you said the Megamind bit. LOL. So.... I heard you are done with S2 of Supernatural. Dang it Jack, why did you have to run through it so fast?? I wish I owned it. Too bad I can't watch them alone. How do you feel about Sammy? Dean? Are you a Dean Girl or do you like both equally? I like both equally. I can't choose which one is the best. I love them both. If I become a pirate with you does that mean I don't have to do anything? ~Woah that legolized image is one of the most unfathomable images ive ever seen o.o Two seasons in two weeks is pretty amazing! I can only do that for anime since episodes are short in anime and cartoons! ~Man I miss blogger and reading posts and chatting here sooo much! !